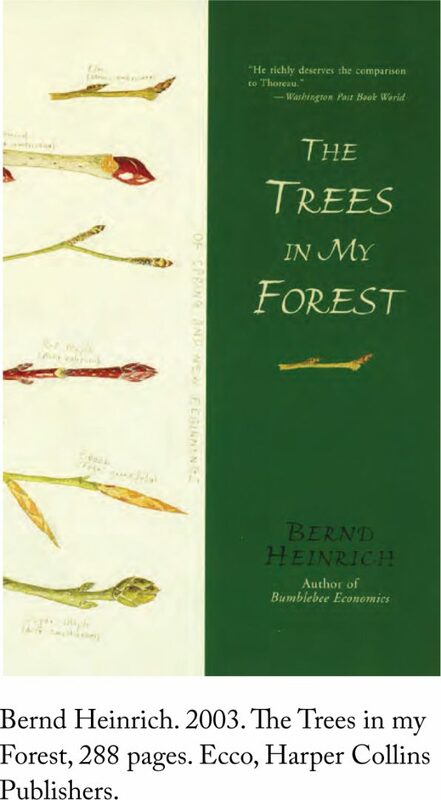 Heinrich details the lives of plants and their animal companions in his 300 acre forest in Maine, with rich, but not too intricate or cumbersome detailing. Club mosses (Lycopodium) and fungi, conifers and oaks, ants and wasps, woodpeckers and apple trees all have their part to play in the drama of life in this forest. The book is written in an easy, flowing style and accompanied by lovely line drawings and attractive colour plates of some sketches. A good book to read before heading to the oak and conifer forests of the Himalaya: one would observe closer and learn more about these temperate forests.